Light as feather, totally won't burden you during outdoor activities. Adjustable shoulder and chest straps that make the pack bounce free. Large 2L water bladder keeps you hydrated easily when you are outside. Thermal insulated compartment keeps water cool for 4 hours at least. Lifetime guarantee, every REINOS backpack are backed by our no hassle warranty! 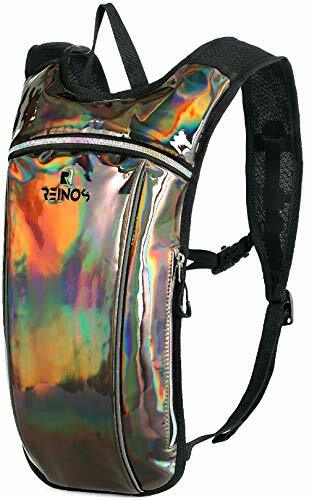 FASHIONABLE , PRACTICAL & INSULATED: You will stand out by wearing REINOS hydration pack by it's fashionable look, while it's not win by just the beauty, but also the storing compartments, it has two independent compartments for your snmacks, towels, iphones, and other daily stuffs, plus an extra insulated bladder compartment. FDA APPROVED BLADDER: Bladder with 2 Liter volume, BPA FREE and ANTIMICROBIAL. Silicone bite valve, dust cover and quick release leak proof bladder connector. LIGHTWEIGHT, DURABLE & WATERPROOF: Light as feather, total weight is around 13oz, you don't even know notice there is a pack on your back. extremely durable material that is water proof and designed to last for years. 100% MONEY BACK GUARANTEE: We're so confident that this hydro pack can serve you well, the product is backed by 90 days trial and get full refund if you are not satisfied, no questions asked and hassle free. 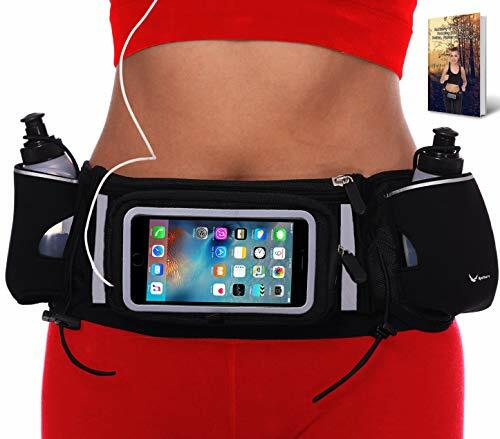 Runtasty [Voted #1 Hydration Belt] Winners' Running Fuel Belt; Includes Accessories - 2 BPA Free Water Bottles & Runners Ebook; Fits Any iPhone; w/Touchscreen Cover; No Bounce Fit; 100% Guarantee! Runners, joggers, walkers, hikers, and explorers of all kinds are ALL turning to THIS new belt as the SOLUTION to all the problems everyone faces when frolicking in the great outdoors. It was even voted "#1 Hydration Belt" in Europe's Runner Magazine! Because let's face it: We need WATER - and we also need our smartphones! So our world class designer team has taken everyone's experience with similar belts, and come up with a design that beats ALL the rest. But the important thing is that it FITS you PERFECTLY! That's because of the unique new "gel-based" interior lining that adds three things all at once: COMFORT, FIT and DURABILITY. Plus, this belt gives you the "NO BOUNCE" effect you want when you're running, thanks also to the soft, adjustable waist band and sleek heavy-duty buckle. Also, we know you want plenty to drink, so we give you TWO BPA & LEAK-FREE BOTTLES that provide a total of 20 OUNCES of your favorite beverage for plentiful hydration during exercise! And since the larger neoprene pocket is WATERPROOF, your valuables are protected from moisture you might encounter on your run: sweat, sprinklers, spills, you name it. And yet, the new crystal clear phone FLASHLIGHT ready TOUCHSCREEN-COMPATIBLE COVER, lets you take calls or change your music without removing your device from the pocket! This is currently the ONLY belt on the market with both a TOUCH SCREEN-READY window and TWO STORAGE pockets to hold everything you need! We even plastered a super-generous number of REFLECTORS on this belt for HIGH VISIBILITY during night time! We also included convenient straps for RACE BIBS. The premium build quality and classy design of this belt makes it even more attractive! On top, our 90-Day Risk-Free Policy lets you return or exchange it for ANY reason during the Trial Period. Put it through your own personal test. If it doesn't pass, send it back! You have only to gain, so ORDER YOURS TODAY! ANTI-SLIP TECHNOLOGY FOR ULTIMATE FIT AND COMFORT! Designed to be worn on the hips, it fits ANY size from 27" to 46" (for both women & men). The "No Bounce" Fit stays perfectly snug against your hips, which is vital for runners. The more you use it, the more you'll love it! 2 SEPARATE EXTRA-LARGE POCKETS; TOUCHSCREEN COMPATIBLE COVER! Take calls, check messages, or change your music - all without removing your device from its sweat-proof pocket with touch screen ready window! It's the ultimate advantage for people on the go! TWO SEPARATE POCKETS give you added convenience for carrying all your things safe and secure! The front pouch fits even the largest cell phones like the iPhone 6 /7 /8 Plus/ Xs or Note 5 / S8+ with regular cases on! TWO BPA FREE BOTTLES INCLUDED - SO YOU NEVER RUN DRY! This dual pocket hydration belt is designed to help you go the distance so you can get the MOST out of every walk, run, hike, or journey you undertake! No matter where you go, you'll have enough water and never worry about running dry. Two large bottles give you 17 OUNCES TOTAL of your favorite hydration beverage. Experts agree that you will be well-hydrated if you have this much available! PROTECT ALL YOUR THINGS IN STAY-DRY POCKETS! This fully-featured waist pack will safely and securely hold your keys, plastic cards, money, gel packs, fuel, snacks, wallet... you name it! STAY-DRY neoprene and a separate black waterproof pocket will keep your valuables dry - whether you face moisture from sweat, fog, spills or even sprinklers! 100% MONEY-BACK GUARANTEE OF SATISFACTION! If for any reason this amazing water belt isn't to your liking when you receive it and try it out, simply return it for a no-questions-asked and cheerful refund. You don't risk a dime by ordering today! PLUS, you'll get to KEEP the FREE BONUS E-BOOK that we'll send when you order: Runtasty's 10 Tips for Running Faster, Better, and Longer! 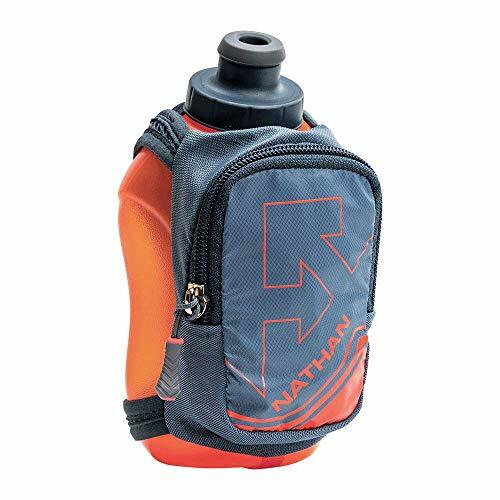 The Nathans QuickShot Plus Handheld Bottle 10oz has a featherlight zippered pocket which allows for on-the-go storage of smaller key items like food and nutrition. Keep our SpeedDraw Flask close-at-hand and in place with this lightweight Waist Pak featuring our angled insulated bottle holder. Large 18 oz flask for hydration on both long and short distances Ergonomic design to prevent from a cumbersome carry or any bouncing/sloshing issues Perfect for Running, Hiking, Jogging, camping and portable storage Remain visible and looking sleek while having hydration a reach away! Don t Be without your essentials and stay hydrated wherever you go! DESIGN: Angled insulated bottle holder on running waist pack allows easy one handed access, Easy to store and easy to release from belt - stays in place throughout run! This convenient 12 oz grip-free handheld flask is a great piece of add-on hydration for short to mid-distances runs. Wide opening for sports drink mixes or ice. Easy grip twist-on cap. BPA free, 22oz. Renowned minimalist ultra runner, Rob kramer, doesn't like to wear anything around his waist. So he helped us develop a waist pak that even he loves to wear. Comfort and high-performance merge with this super lightweight, form-fitting waist pak that features our new 10oz soft flask. 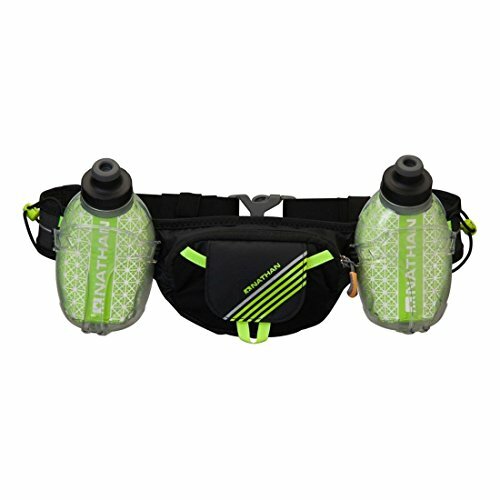 Our best-selling hydration belt now comes equipped with two 10 oz fire & ice reflective and insulated flasks to keep water cooler, longer. The Ultimate Direction Men's Halo trail running vest is stealthy, ultra-comfortable, functional, and fast. The best volume-to-weight ratio of any vest or pack comes from lightweight and durable materials plus only adding essential features. Knitted and woven monofilament mesh provide structure yet maintain superior breathability and comfort. 4-Way stretch woven nylon/spandex and stretch mesh provide versatile function throughout. Customize fit with Comfort Cinch 2.0 lumbar adjustment. Dual sliding sternum straps. 11 L of total storage with stash pockets on the shoulders and waist carries phone, fuel, gear in easy reach, plus 3 back stretch mesh pockets for additional gear. Dual trekking pole holders keep poles out of the way, but in reach. 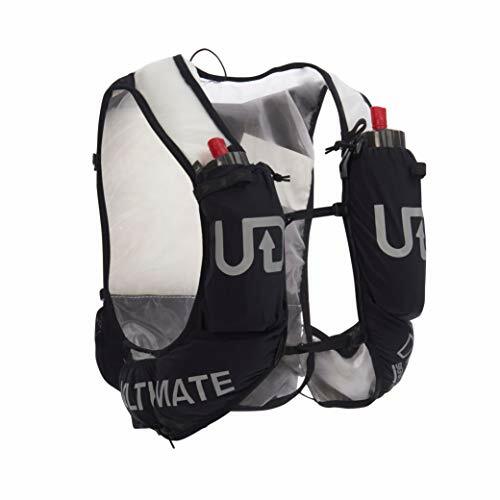 Two Ultimate Direction Body Bottle 500 ml hydration flasks included. Hydration bladder compatible (not included). Men's Sizing at Bottom Ribs: SM: 23 - 32 in / 58 - 81 cm, MD: 30 - 39 in / 76 - 99 cm, LG: 37 - 46 in /94 - 117 cm. 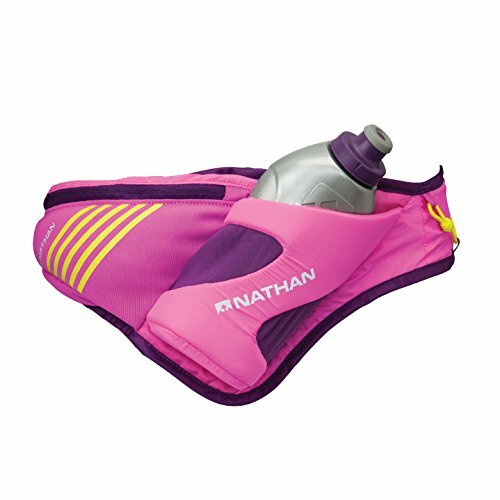 FAST & FUNCTIONAL: Best volume-to-weight ratio of any running vest - 11L of storage yet only 6.2 oz! LIGHT MATERIALS: Knitted and woven monofilament mesh for structure and breathability. Stretch woven nylon for a durable storage and stretch mesh for quick stash on the fly. CUSTOM FIT: Comfort Cinch 2.0 is more stealth and adjustable than before. Upper & lower sternum straps for a secure fit. 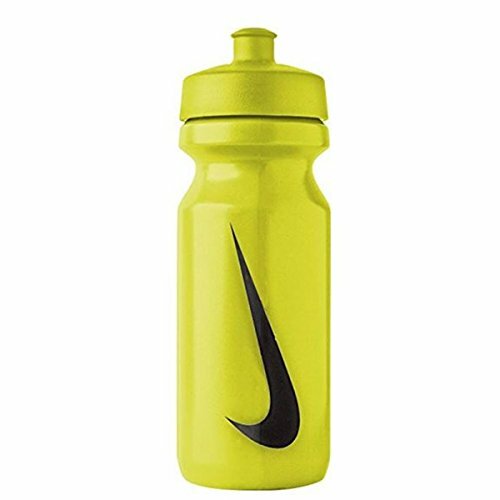 SPECS: Total Volume Capacity: 671 in3 / 11 L. Weight (without Bottles): 6.2 oz. / 175 g. Two 500 ml Body Bottles included. Hydration Bladder compatible. 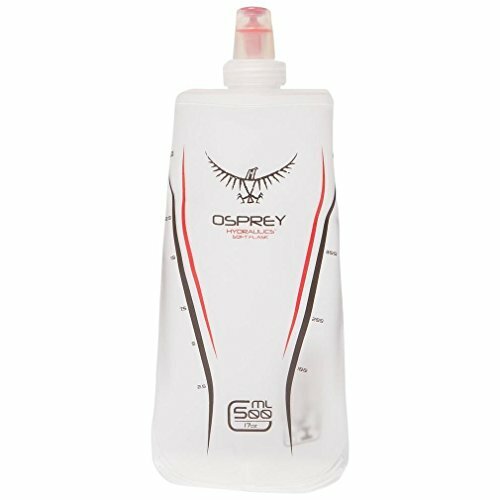 Osprey's new Hydraulics 500ml Soft Flasks are an ideal solution for keeping hydrated whilst out and about. Exceptionally lightweight, they pack down to almost nothing when empty and fit comfortably inside your pack's stretch mesh pockets. The combined sports cap is ideal for fast handheld hydration, whereas the included extension hose is ideal for those using the flasks in your pack's harness pocket. Hydraulics 500ml is also the perfect partner for the Duro running range, allowing easy hydration during high-intensity activities.